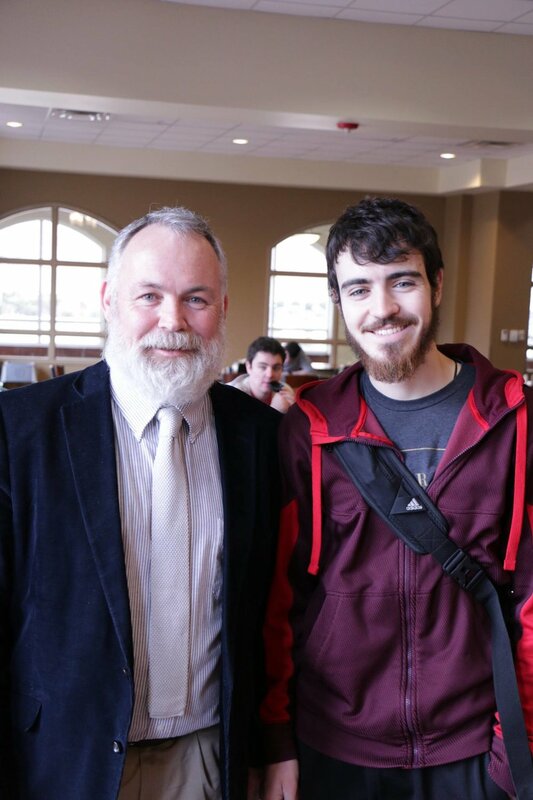 With the official beard season at Benedictine College coming to an end on Valentine's Day, the college hosted a competition during lunch in the Dining Hall on Monday, February 13th. It was a chance for the men on campus who have fasted from the razor for three months to finally test their results against their fellow man. Representing St. Benedict's Abbey were Fr. Simon and Fr. Jay, both of whom put many students to shame with the length and fullness of their facial hair. Notably, this was the first year that Fr. Jay began November, the first month of beard season, with a clean shaven face. Though awards were given for best mustache, most suffered, and best overall beard, Fr. 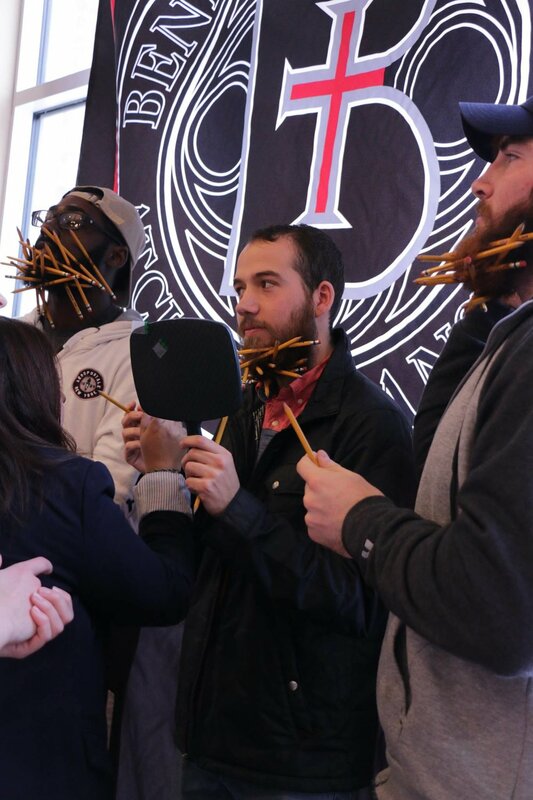 Simon took home one of the most coveted prizes by fitting a record setting number of forty seven pencils in his beard. "Growing a beard takes discipline," Fr . Simon said, adding that though the beard growth is a side effect, "It's really about growth in virtue". 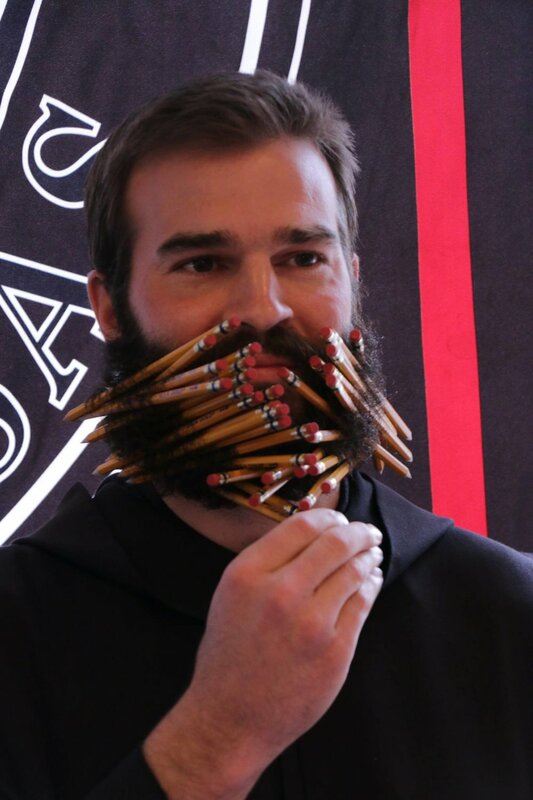 So although students, professors and monks may be shaving their beards these next few days, the true spirit of beard season, that is, growth in discipline and virtue, must continue.